Cross Timbers Premium Red Oak Firewood is one of the cleanest burning and most desirable hardwood fuels for heating and cooking. Below is a map of the Crosstimbers region where superior dense red Oak is the predominant wood and virtually the only area where the highly sought after Blackjack red oak thrives. Cross Timbers Red Oak and Blackjack hardwood combines maximum BTU output with an ultra-clean burn along with a less overpowering smoother smoke flavor, making it a highly desirable favorite at BBQ cooking contests and at many quality restaurants and finer steakhouses across the country... like These. 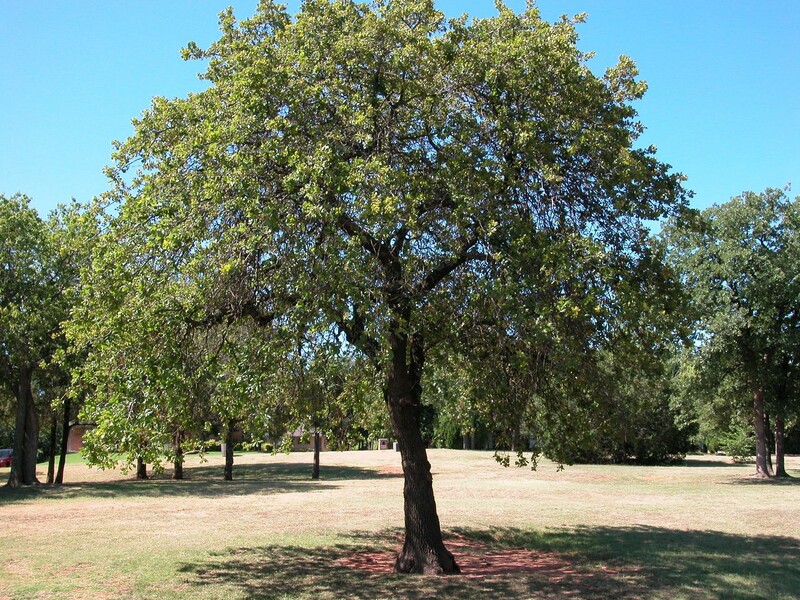 The "Blackjack Oak" is a member of the Red Oak family which thrives along with American Red Oak, Post Oak, Hickory and Pecan in a unique belt of forest called The "Cross Timbers" region spreading from north-central Texas throughout the eastern half of Oklahoma and into southeastern Kansas. "Easy to split, few sparks, slight fragrance, moderate to start, light smoke, good coaling quality". Once you've tried Crosstimbers Red Oak firewood, you will never go back to other less efficient wood fuels. For the very best Oak and specialty firewood, no matter what your application, Crosstimbers Wholesale Firewood Company is your best source. Available in 16" and 18" std lengths. Contact our Denver Colorado office at 405-464-3782 for wholesale prices delivered to your door. We also supply the finest smoking flavor woods such as Crosstimbers Pecan and Hickory. Burn wood... the true "Green Fuel". Wikipedia- "Wood burning does not release any more carbon dioxide than the eventual biodegradation of the wood would if it was not burned. Wood burning can therefore be considered 'carbon neutral'." And The Firewood News Blog ! Note: Most states including Colorado and Oklahoma have State Laws requiring that wood be sold in 128 cu.ft "cord" or fraction of cord measurements, 1/2 cord etc. We do not sell Ricks, Riks or Rix... we leave that up to Rick! Figure 1. A cord is a standard measure - 4’ x 4’ x 8’. the	term	“cord”	and	fractional	parts	of	a	cord,	or	the	cubic meter.”	The	exception	to	this	rule	is	wood	sold	by	the	package. or	terms	of	similar	import	shall	not	be	used	when	advertising, offering	for	sale,	or	selling	wood	for	use	as	fuel.